Synopsis: Her only crime was abandoning reason — and her heart. When a marriage of convenience ends in scandal, single mother Cameron Thomas must now make a life for herself and her 7-year old son, Jeremy, in a small beach town where years ago, she'd been her happiest. But even as she struggles to adjust to a life that's far from the wealthy lifestyle she once knew, forgiving herself turns out to be the toughest thing to do, made even harder when she's faced with the man she gave up so many years ago for all the wrong reasons. About the Author: Liz writes contemporary romance and women's fiction, and is the author of Everything She Ever Wanted, a novel about finding love again at forty (with a younger man). She's also the author Loving Ashe, a chick lit novel with contemporary romance elements, as well as the romantic suspense novel, A Collateral Attraction. She lives in Southern California with her family, a Chihuahua and way too many books. 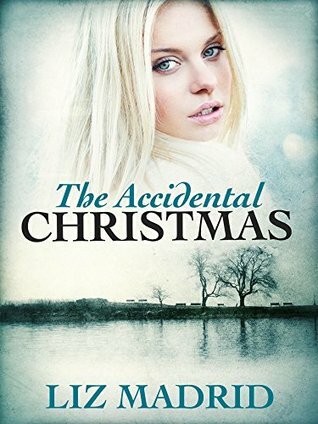 Review: A heartwarming Christmas tale, just in time for the holidays. A great reason to stay inside curled up with a cup of cocoa.